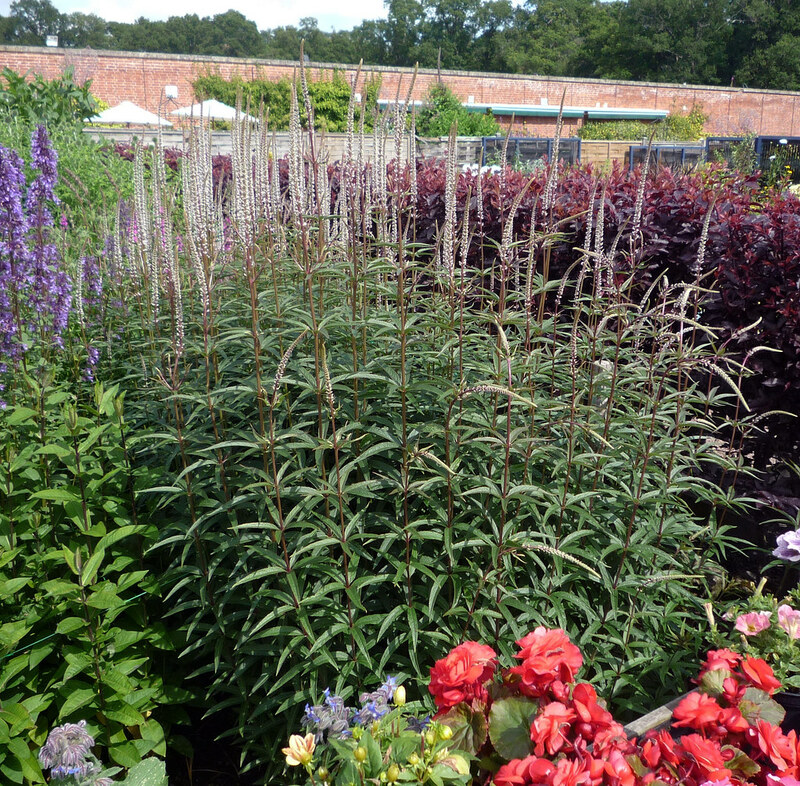 A superb upright-growing perennial. Very narrow spikes of tiny white flowers are produced from clumps of deep green leaves which are formed in attractive and distinctive whorls up the stiff stems. Smaller, branching, lateral flower spikes also occur when in full bloom. Jul-Sep. H180cm S60cm. Grow in a moist, fertile soil in sun or partial shade. 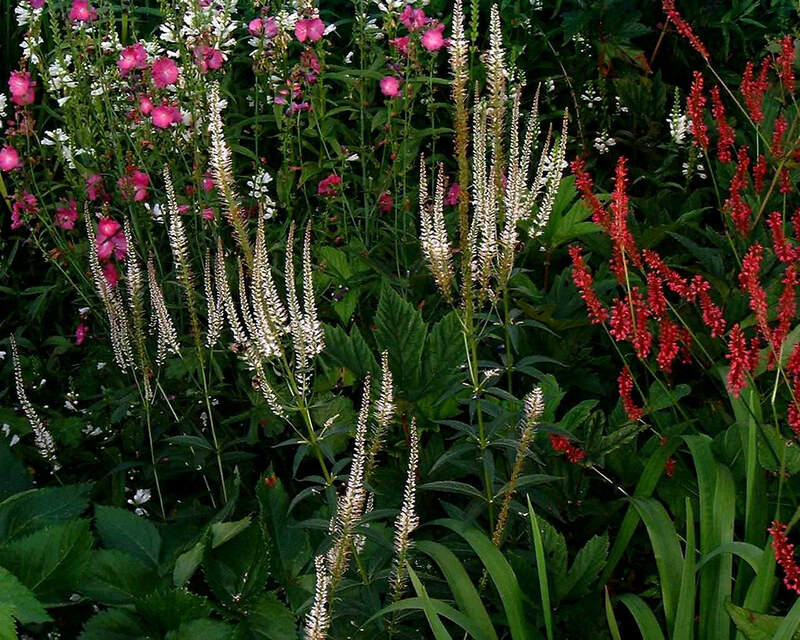 Excellent for providing vertical interest in the herbaceous border and useful in prairie plantings and it associates well with grasses. A magnet for bees.